Those with computer science skills will continue to be highly sought-after in tomorrow’s job market. The U.S. Bureau of Labor Statistics predicts that software developers, web developers, computer and information research scientists and other computer-science experts will be much more in demand than professionals in most other fields. 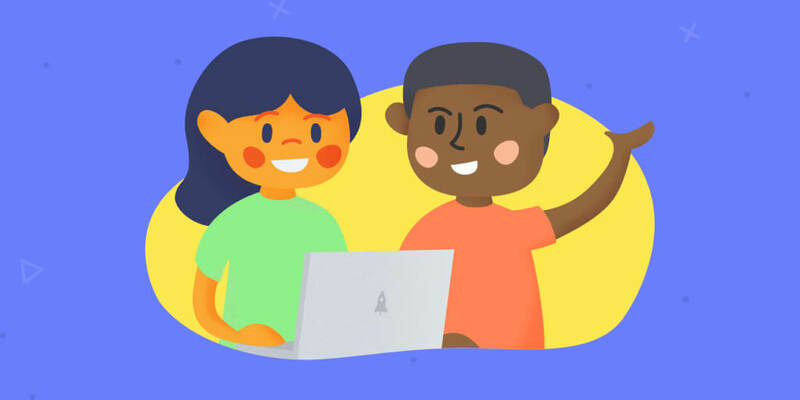 With this in mind, it’s important that young people who wish to succeed in tomorrow’s economy begin developing computer literacy and software development skills as early as possible. In many cases, these skills are still not being taught in traditional classrooms. It is important for parents to do what they can to help their children acquire them through other outlets. While it’s true that there are many online learning academies that can help kids develop basic competencies, an established learning center like Launch: Code After School offers much more than lesson plans to help kids learn to code. Here at Launch, we provide a stimulating and fun learning environment where kids can acquire new knowledge through a curriculum grounded in computer science and research-based learning methods. Through inquiry and play, students at Launch build coding and computational thinking skills to prepare them for the 21st century. Launch is currently enrolling students for the fall term. Choose from once- or twice-weekly, hour-long after-school classes. Parents receive a discount for each additional child. An after-school coding academy is a great addition to your child’s academic year that will provide her or him with a stimulating and fun learning experience. Plus, it will give your child valuable knowledge that will position her or him to be a leader in tomorrow’s economy. We don’t for a second hesitate to teach our children English, math, foreign languages and history. Why wouldn’t we make sure they are acquiring one of the most important skills for future literate members of our society? Coding is important and it still is not taught in schools. Make sure your child learns to code. An hour or two a week after school isn’t a big commitment but it will reap tremendous rewards for years to come. Next The best way to learn – video textbooks! Sounds great! Your article is very informative, and your after-school academy sounds interesting. Kids indeed need to gear up for the future and welcomed invasion of EdTech!